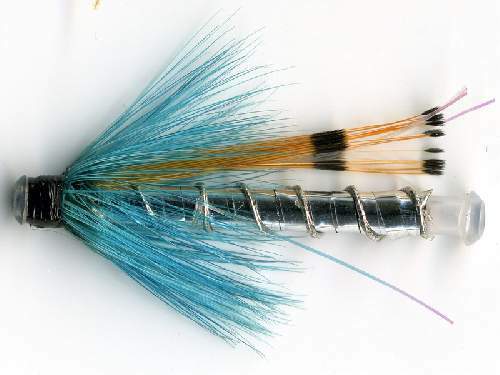 Tradtional Black & Silver Snake Fly variant is a great Sea Trout & a great Salmon Fly. They can be fished slightly sub-surface with a floating line, fished deeper with a sink tip or intermediate, or even close to the bottom with a fast sinker. A great fly that takes a lot of sea-trout fresh in from the sea. especially good when fished after dark.